Orion Healing Center’s Yoga & Personal Empowerment Programs serve as a vehicle to provide individuals with access to the eternal wisdom of Yoga through its practice, philosophy, and lifestyle. Orion Healing Center offers one of the most beautiful locations in the world and an ideal spot for rejuvenation, retreat, and personal tranformation. We are located directly on the water on the magical island of Koh Phangan, with our waterfront yoga shala and a beautiful white sand beach steps away (Srithanu Beach). We also have a wonderful steam room/sauna on our property and offer an abundance of top quality health food (macrobiotic, Asian vegetarian) and an abundance of fresh tropical fruit (papayas, coconuts, mangoes, bananas, etc). Orion Healing Center offers a variety of retreats, intensives, residential training programs and correspondence courses geared to all levels from beginner to advanced. Fasting is the world’s most ancient healing mechanism. It triggers a wondrous cleaning process that reaches right down to every cell and tissue in the body. Fasting is one of the best cures for the imbalances and diseases that occur due to our busy modern day live styles and diet. A detox is an extremely effective way to deal with illnesses that conventional medicine can not cure. Fasting and detoxing is also an excellent preventative method. As most diseases start in our digestive tract and organs. Orion Reiki is a system of subtle energy healing that uses the limitless source of energy in the universe. It is available to all people regardless of age, gender, culture or religion. It works on all levels, physical, mental, emotional and spiritual, as well as other levels that we are unaware of consciously. A treatment leaves people feeling relaxed and at peace with the world and gives a general sense of harmony and well being. 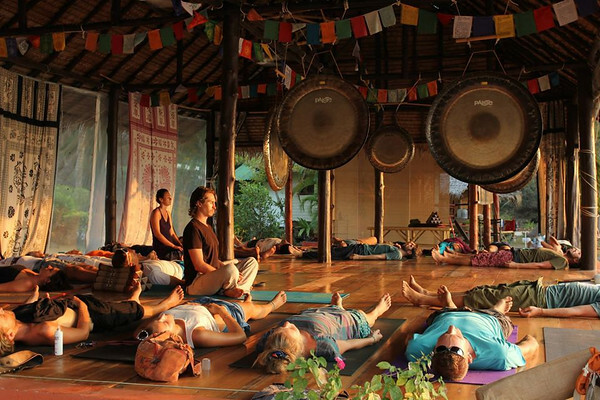 Yoga and pranayama are extremely beneficial to cleansers and those taking part in our courses. Yoga increases energy and vitality, blood flow, concentration and awareness. We also practice specific asanas (positions) for our cleansers to help to release blockages around the area of the intestines and related organs. Detoxification and Rejuvenation packages were designed though our experiences of the phenomenon of people studying Reiki while on a detox cleanse. Holistic or “wholistic” treatments address all the aspects that make up a person. not just the physical aspect of a person where manifested illnesses are most apparent. The Orion SPA resort has been a key location for holistic study and Detox in Thailand for the past decade and has been host to thousands of guests from all four corners of the globe. We have created a retreat that can help those who are looking for new tools for their personal transformation, new skills to help heal others, and for those who are looking for a break from their regular routine in which to detox, rest, regain their vitality and clarity of mind.